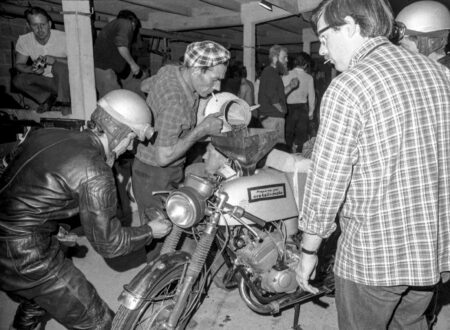 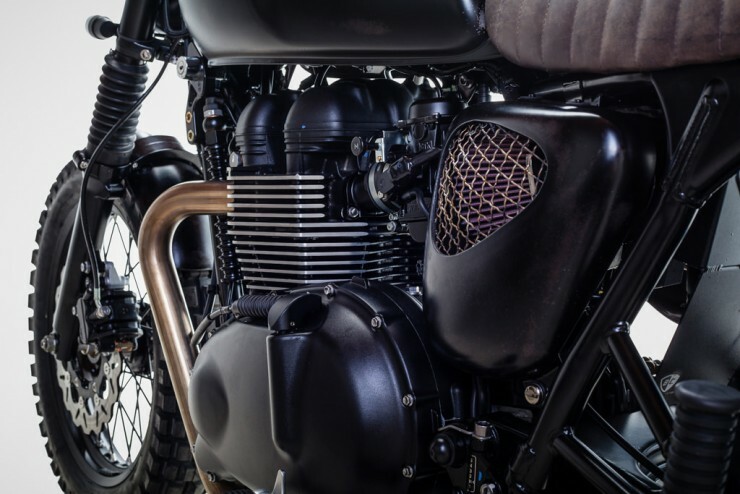 The Triumph Bonneville was originally released in 1959, it quickly became a very popular motorcycle on both sides of the Atlantic thanks to the performance and extensibility it offered. 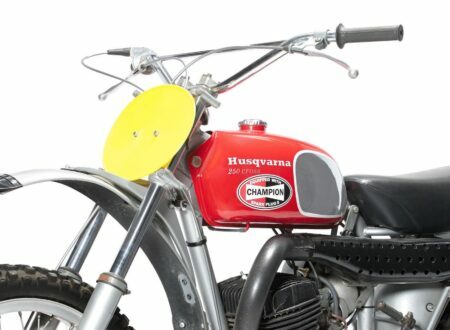 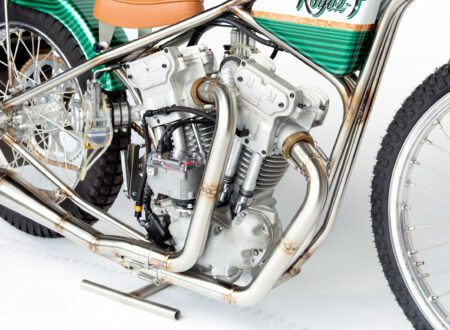 The fundamentals of the model have remained solid over the intervening decades, Bonnevilles have all had parallel twin, air-cooled, four stroke engines that could be modified extensively for racing or street performance. 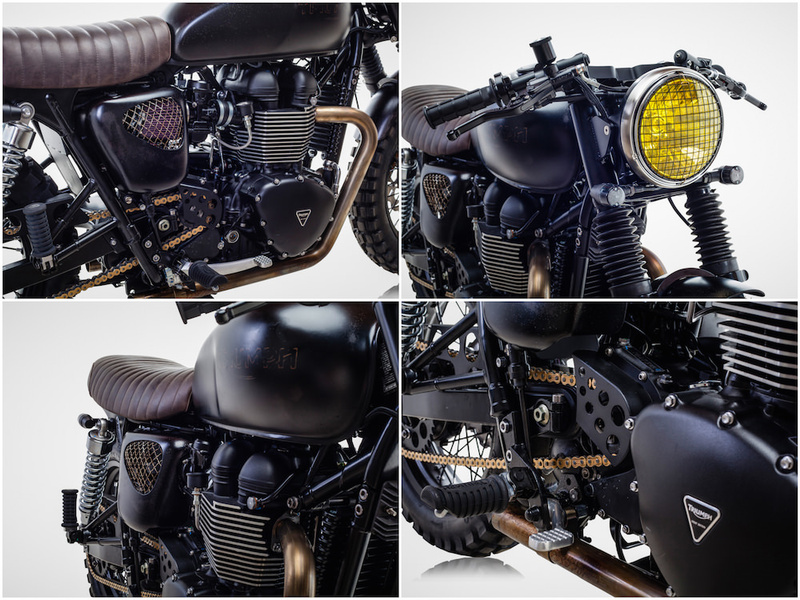 In 2000 Triumph unveiled their new Bonneville and it quickly shot to the top of the best seller list, in the 15 years since it was first unveiled the model has been modified, tweaked and customised in almost every conceivable way – and a slew of companies have popped up to provide custom parts and upgrades. 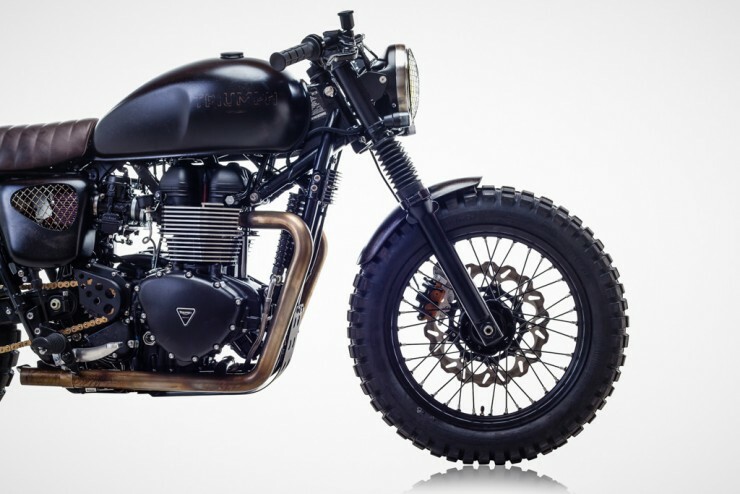 The two most famous modern Triumph owners would have to be David Beckham and Chris Pratt. The former recently rode a customised Bonneville through the Amazon and the latter rode a Bonneville-based Scrambler in the recent film Jurassic World. 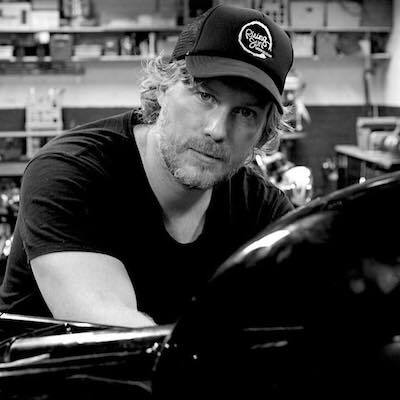 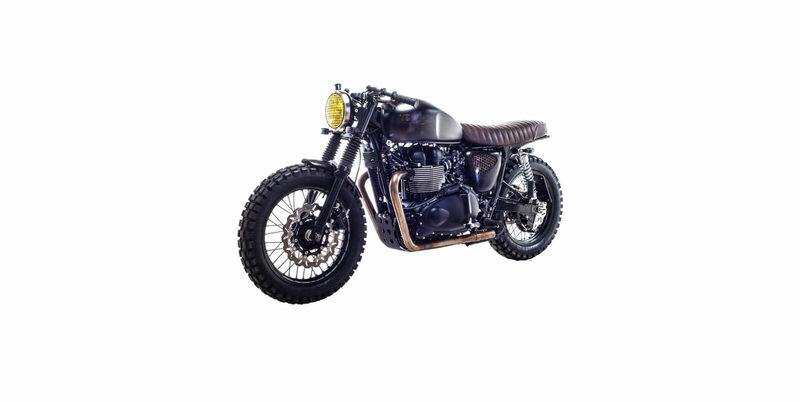 After finishing their respective films both men decided they wanted their own Triumph for personal use, Chris kept one of the three identical bikes that had been developed for Jurassic World and Triumph offered to have a custom Bonneville created for Beckham by British Customs. 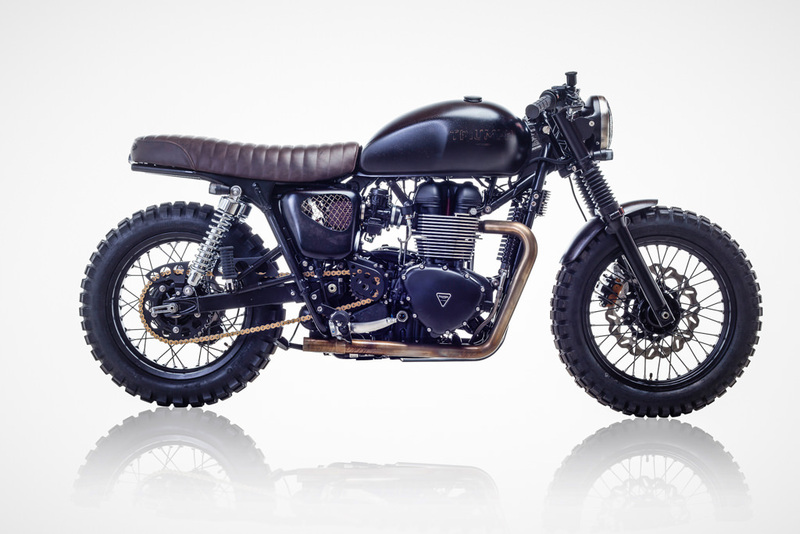 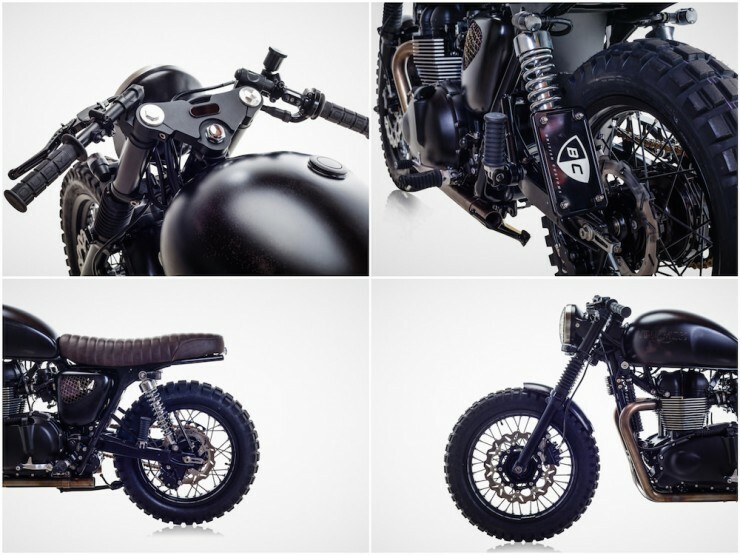 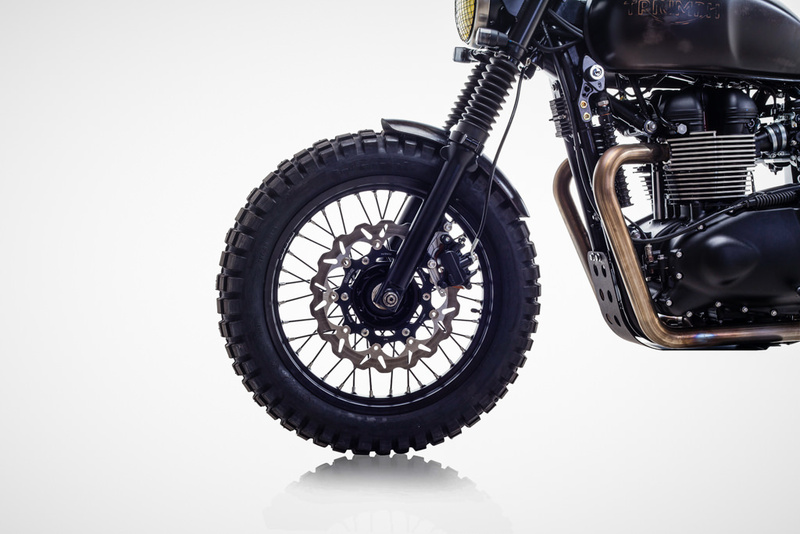 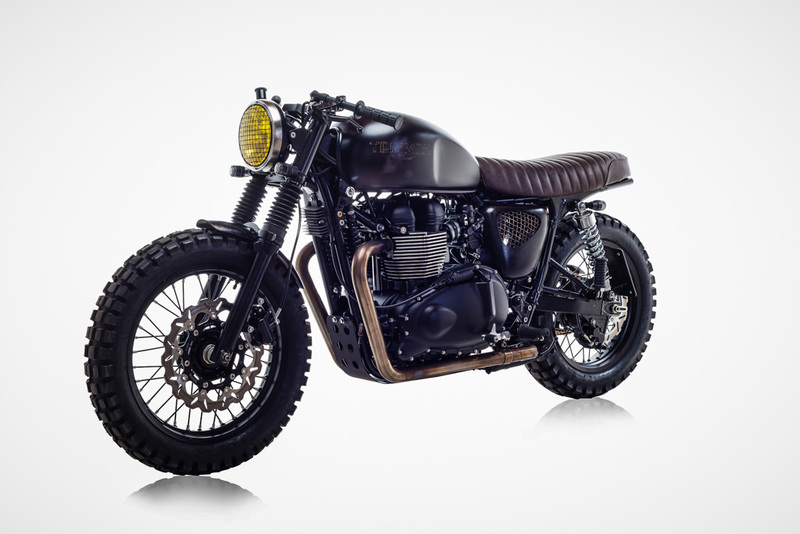 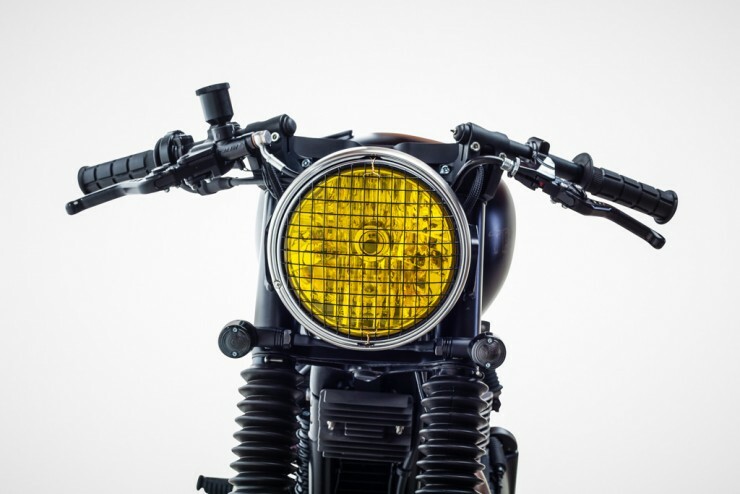 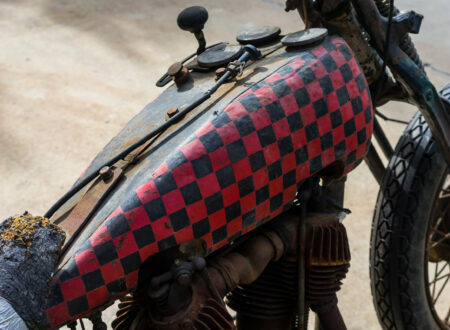 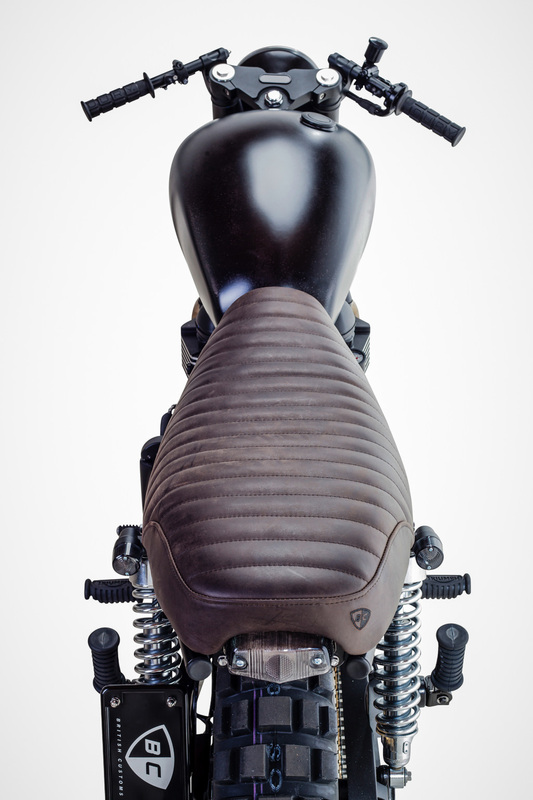 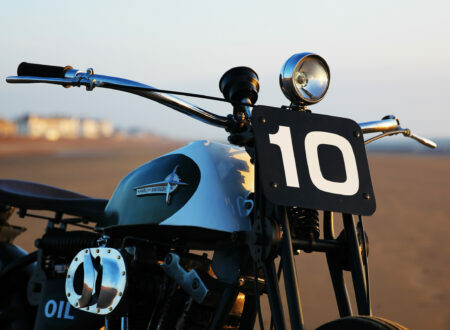 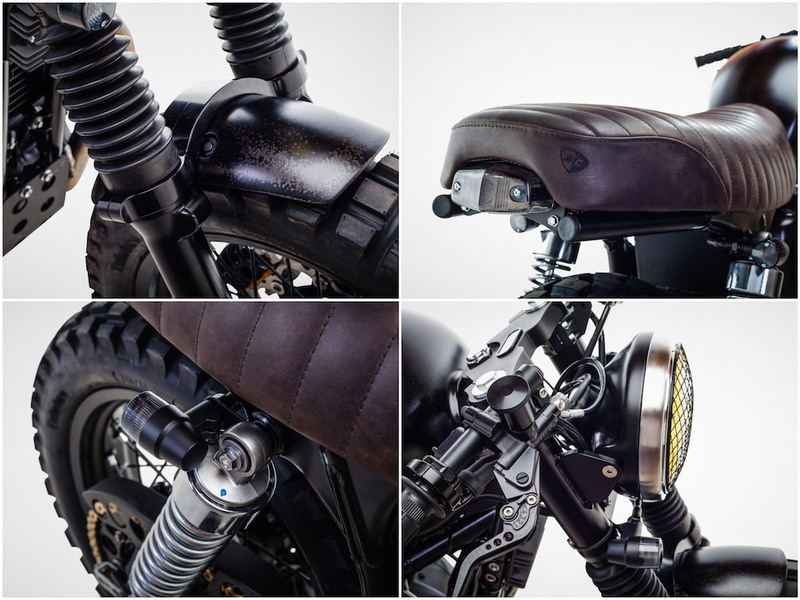 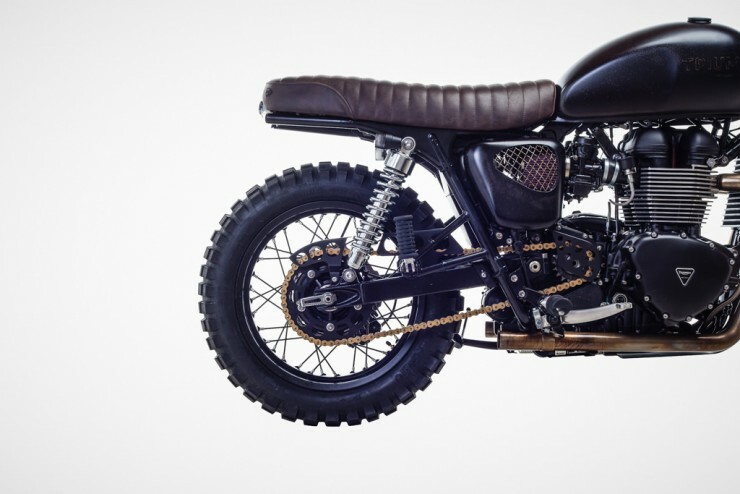 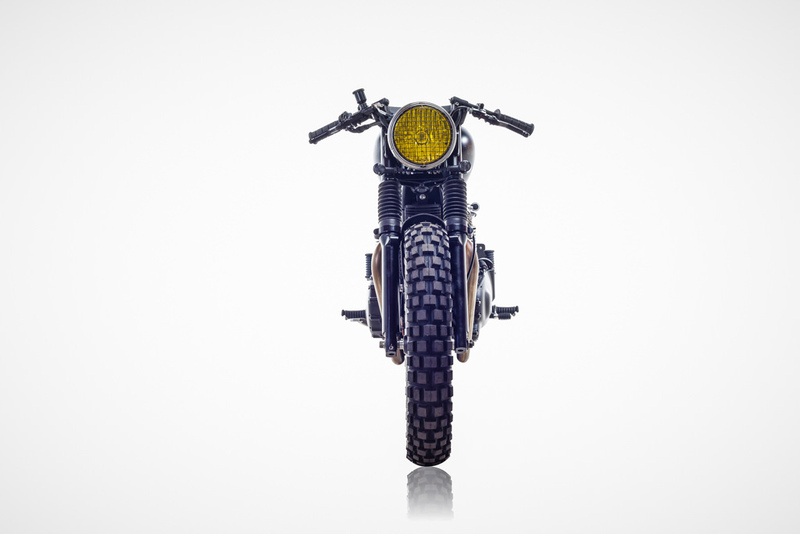 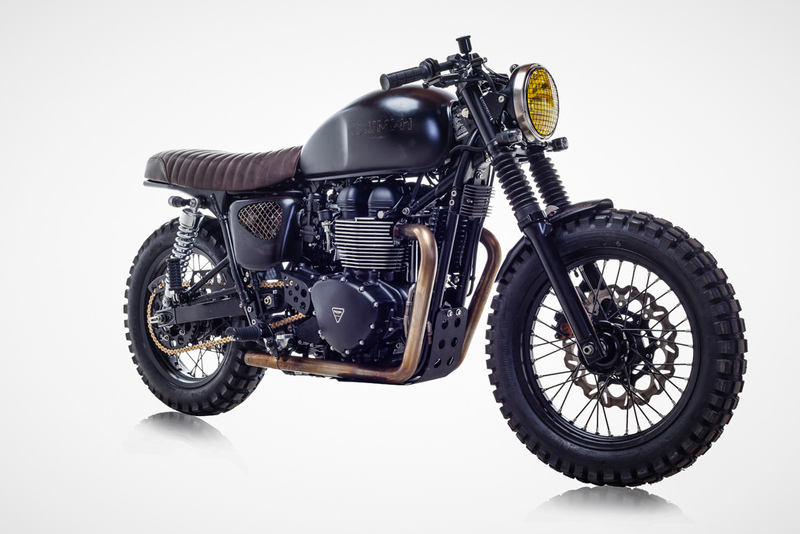 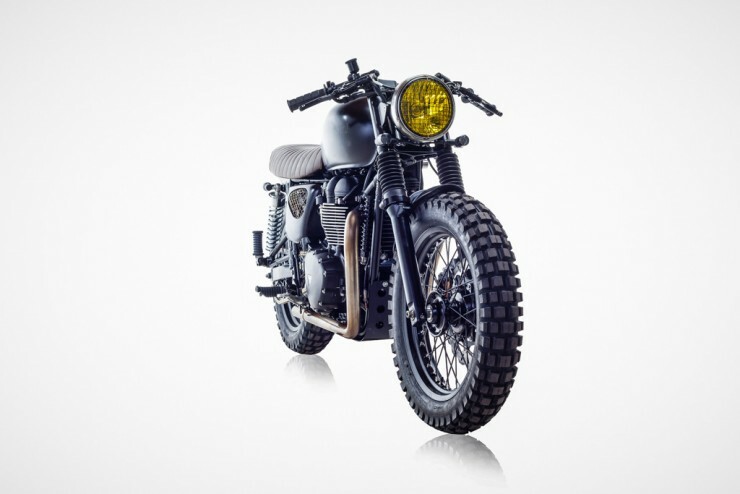 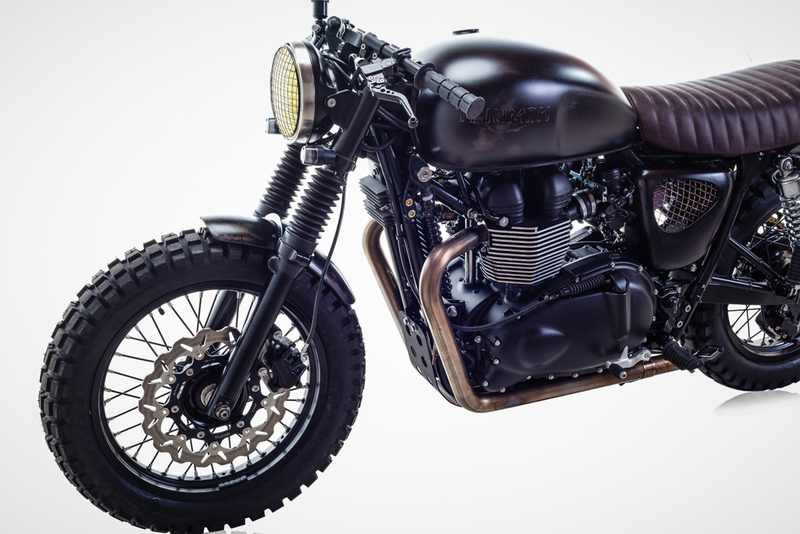 In order to create a bike that David could use as both a daily rider and a weekend trail hunter the team at British Customs set about creating a hybrid between a cafe racer and a scrambler. 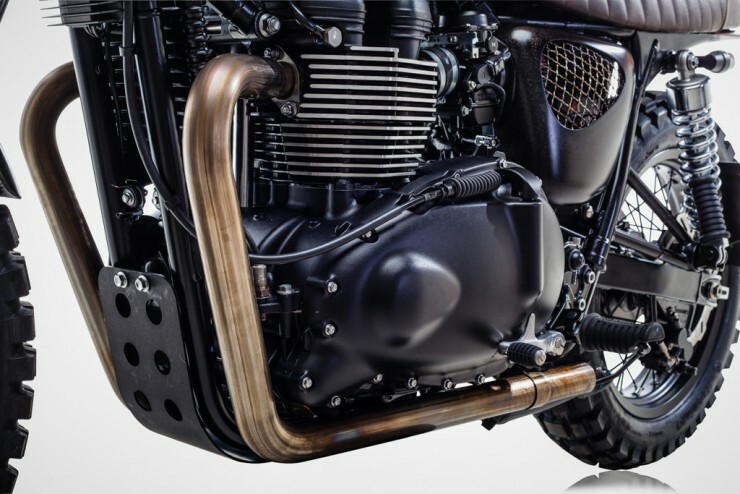 The first order of business was to further improve performance, so a set of Drag Pipes were installed along with the Airbox Elimination Kit, Air Injection Block Off Plugs, and Stage 1 Street Cams. 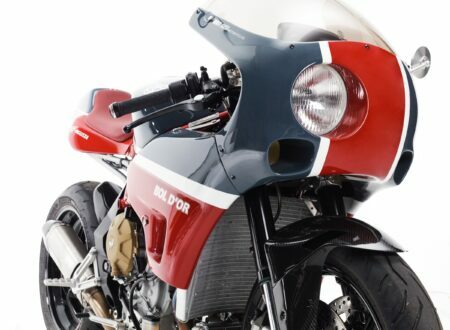 A custom tune was then needed to get it all working at peak efficiency, significantly improving horsepower according the the trusty old seat-of-the-pants dyno. The original factory-spec tires were replaced with a pair of chunky Continental TKC80s, a new leather Slammer Seat was also fitted along with a new headlight and mesh grill. 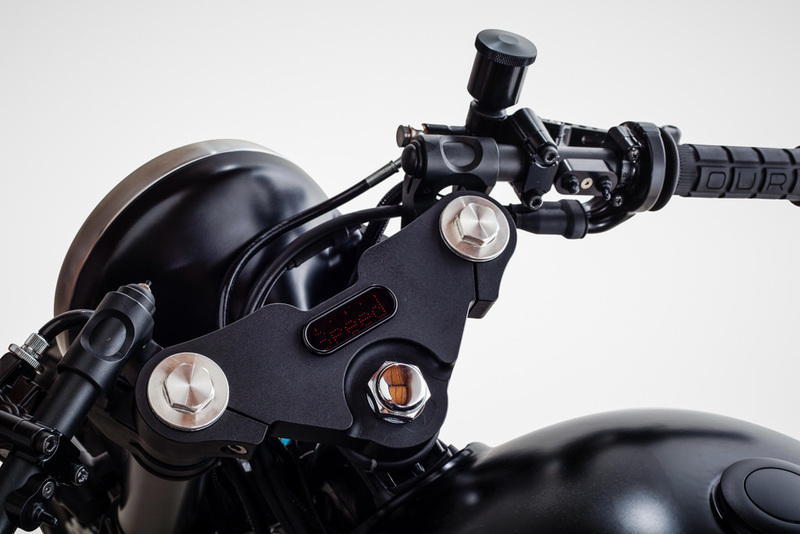 Perhaps the most appealing feature on the build is the use of the Motogadget Mini speedometer/odometer/onboard computer that’s been seamlessly integrated thanks to a Bonneville Triple Clamp – take a look at the image below to see it. 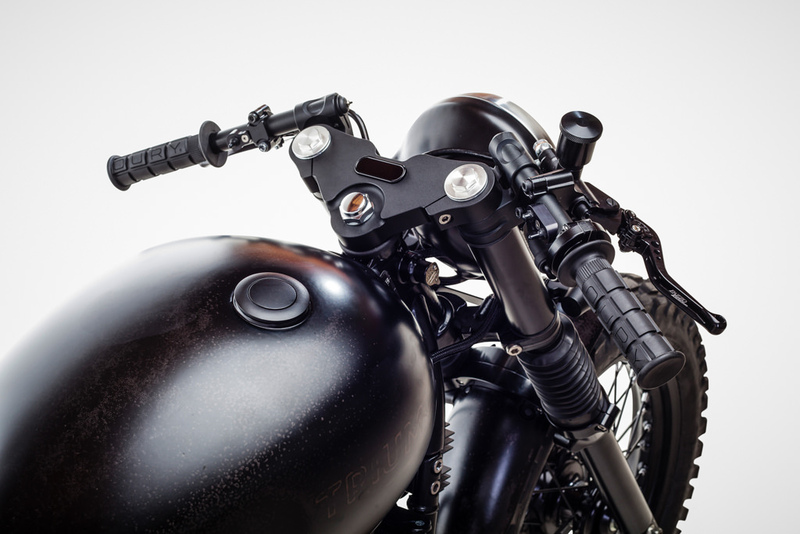 In order to scroll through the display options a switch was then added to the inner end of the clutch side clip-on. 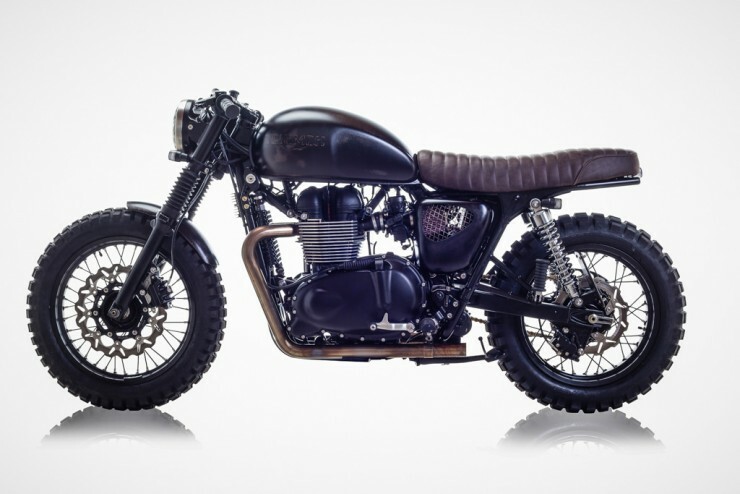 The finished bike has now been delivered to Beckham who can occasionally be seen piloting it around the streets of his home town. If you’d like to see more from British Customs you can click here.